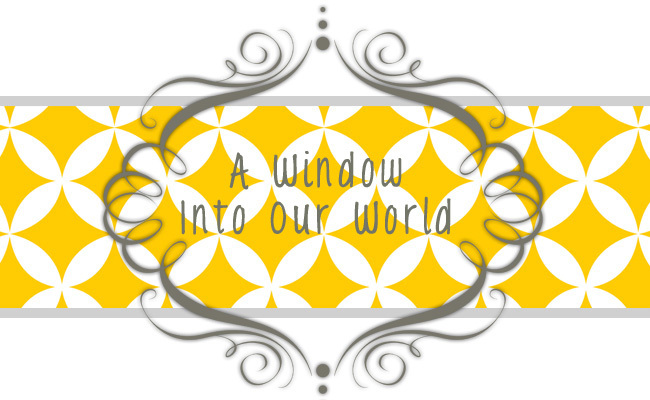 A Window Into Our World. 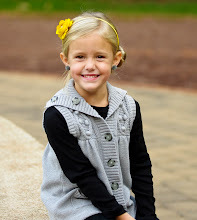 . .: Addie is a Big Girl. . .
Addie is a Big Girl. . .
During my 3 hour cleaning extravaganza of the girl’s room after Christmas, I decided to also rearrange their bedroom in order to make more room. 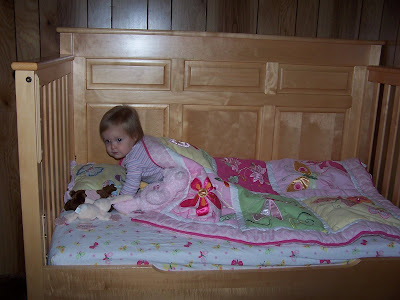 While doing this I thought, what better time than now to change the crib into a toddler bed. Brandon was totally against the whole idea. He thought she was too small. Well, once I get my mind set on something, I am going to do it. I took the rail off and it hasn’t gone back on! Addie came in and saw her new bed. She LOVED it!! She was a little short, so we put a stool at the end to help her get in…this lasted only a few days…she was getting in and out of the bed like a pro. She has only fell out 2 or 3 times, but the pillows in the floor soften the fall. 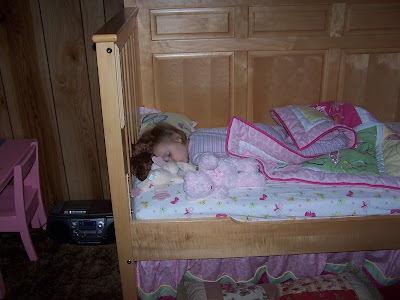 A few weeks ago, Brynn asked if Addie could sleep in the bed with her. After much debate, we said sure. We put the girls down, and waited to see what was going to happen. We could hear them talking and laughing at first. Addie banged her head against the wall a few times (which caused Brandon to want to go in and put Addie back in her own bed). I told him not to worry about. Alittle more laughing and then nothing...they had gone to sleep. 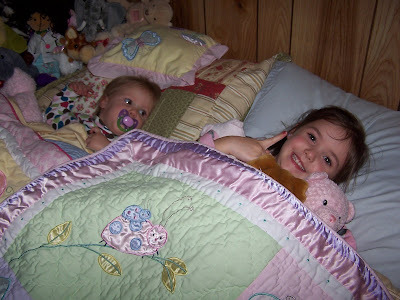 The next morning, on the way to school I asked Brynn if she wanted Addie to sleep with her every night. She quickly said "NO, she talks too much, and trys to play, and hits me. All I wanted to do is go to SLEEP!" Fun she just wanted to go to sleep, when she begs and begs every night to please stay up just a tiny bit later she is not very sleep at all! 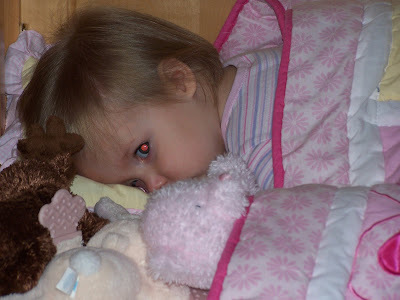 Addie looks so sweet in her big girl bed!!! Tis' the Season. . .